Anxiety is a natural wa y for your body to react upon stress. Stress can include, but is not limited to, beginning a new job, giving a speech, visiting the doctor, etc. An anxiety disorder forms from anxiety and is more serious since it is a form of emotional disorder. Although it is treatable, it is a very common mental illness present in the United States. It is important to understand that getting proper help for anxiety disorders is normal. Many feel alone and misunderstood, hence only 1/3 of adults and 1/5 of teenagers suffering from anxiety disorders receive treatment. These low numbers are because anxiety is treated as “just let it go” rather than a serious disease. Available online is a quiz to take for those who question if they have an anxiety disorder. Visit https://www.anxiety.org/what-is-anxiety#do-i-have-anxiety to find out if you should seek help today. Many feel alone and misunderstood, hence only 1/3 of adults and 1/5 of teenagers suffering from anxiety disorders receive treatment. There are many treatment options available to those who suffer. The most common being psychotherapy and medications, which go hand to hand with each other. 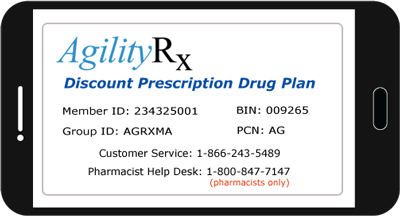 The specific medications to treat a specific anxiety disorder can be discussed with your doctor, but listed below are a few examples of common medications prescribed and how our discount drug card can help save on these medications.